Ridge Brook of Blue Ridge is tucked away in the southern tip of the stunning Blue Ridge Mountains, in Georgia. The Blue Ridge Mountains are part of the larger Appalachian mountain range, which are actually the oldest mountains in the United States. These massive hills are specifically known for their deciduous trees that become vibrant with color during the fall season – definitely a visual treat to behold. The charming mountain town of Blue Ridge has distinct character and history. Downtown Blue Ridge offers eclectic shopping and dining in a quaint small town setting. Blue Ridge is a center for arts and galleries, antiques, unique shopping and eateries. 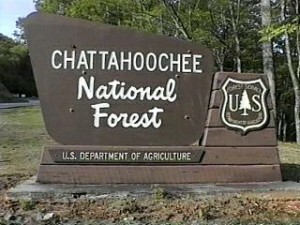 There are over 450 miles of trails and 2,200 miles of rivers and streams within the boundaries of the Chattahoochee National Forest. 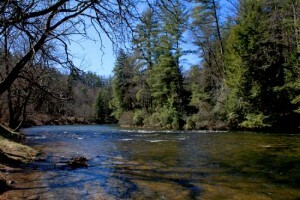 This river is surprisingly broad for a high mountain river and very popular for canoeing and fishing alike. The crystal clear waters of Lake Blue Ridge make it one of Georgia’s most picturesque mountain lakes.